TV Series – The show’s slow simmer doesn’t take long to come to a flambé. 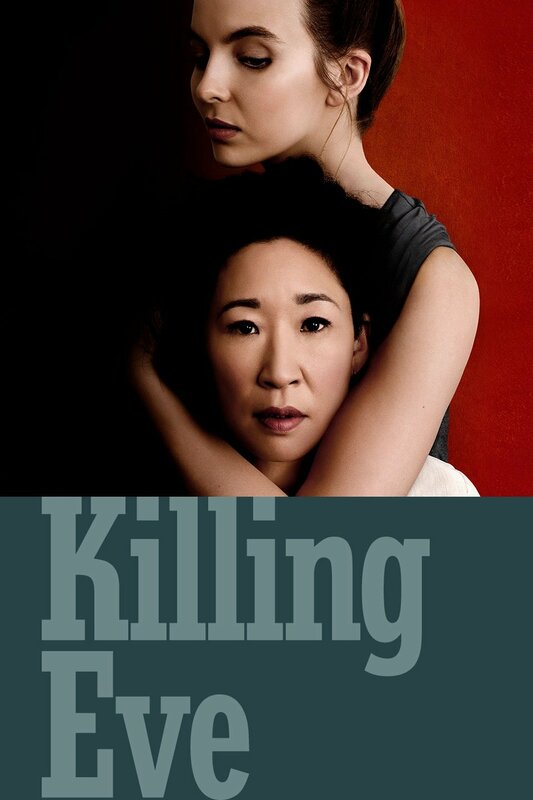 The BBC’s Killing Eve stars Sandra Oh (Grey’s Anatomy) as Eve, the MI-5 Security Officer who longs for the thrill of the spy life. Eve gets more than she bargained for when the charismatic, charming, psychotic/sociopath Villanelle, played by British actress Jodi Comer (Doctor Foster), goes about her merry way across Europe savoring the killings she is assigned to…and not. The two become obsessed in a catch-me-if-you-can game, admiring the other’s intellect, wit, life and identity. The screenplay is written by Fleabag‘s clever Phoebe Waller-Bridge, whose compelling characters we can’t turn away from. She does not rush to get through the story, which is well-paced, but I dare you not to binge this series. To boot, the action rounds out the show, so there is no lull or dull moment to be had. Top all of that with fantastic acting from both female leads and you will wish there were more shows like this. Season 2, commissioned before the first season ended is due out later this year. Check out Season 1 located in our New Adult TV Series on DVD! Book – Not all cookbooks are created equal. The Sweet Home Cafe Cookbook is published by the Smithsonian Institution, so you will be educated as you cook. Cooking and becoming smarter go hand-in-hand! Most of the recipes are accompanied by a beautiful color photo and are elegant enough for the seasoned chef, but are also reader-friendly: easy to follow, concise, and do not scare off cooking newbies. Recipes from the cafe fall under three categories: classic, regional, and modern. And in each corner of the page, we are unobtrusively informed of what area or region, such as the Agricultural South, the food originated from. Black and white photographic images of subjects ranging from the Student Nonviolent Coordinating Committee at a restaurant in Georgia, to a full-service vendor standing in front of his sign serving Po-Boy fruit and the ‘Best’ shoe shine in New Orleans, or an owner and a patron in his barbecue joint in Harlem, enriches readers and/or would-be cooks of the Black Diaspora. One of my favorite characteristics of this cookbook is how recipes call for a “pinch” of this or that. My favorite recipes? Fried Green Tomatoes, Grilled Snapper with Creole sauce, and Son-of-A-Gun Stew. For the health-conscious, try recipes for: Baby Kale Salad; Collard, Tomato & Cashew Stew; or Pan-Roasted Rainbow Trout. Bakers can’t go wrong with Bourbon Pecan Pie or Fried Apple Hand Pies. What long days (or weeks) or hot summer afternoons (or nights), couldn’t be cured by a Hibiscus & Ginger Sweet Tea, or a Sparkling Watermelon & Lemon Verbena drink?